Now, a Life Care Planning Law Firm. Our team helps clients identify appropriate health care services while supporting family members to make long-term care decisions regarding their elder loved ones. 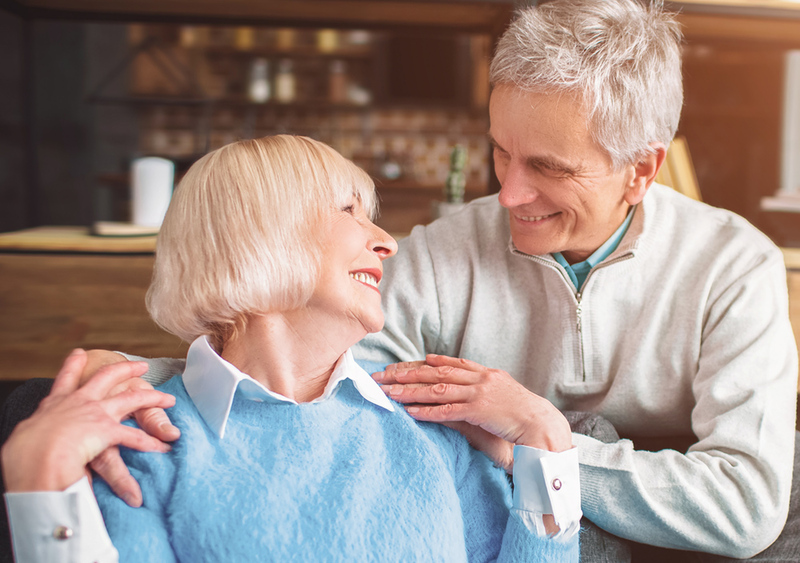 Our Elder Law practice derives its foundation from placing the greatest emphasis on maintaining the highest quality of life for our clients and their loved ones. The financial and emotional toll for family members is great if a loved one passes without at least a Will. If you choose to do nothing, then your state’s laws will govern your estate plan. Our team helps clients who face the complexities that surround the administration of your loved one’s estate. We provide advice and counsel on all aspects of estate administration. If you have a disabled child, you recognize the importance of ensuring that he or she receives all of the care and attention that their circumstances may require. We help you acquire all the necessary documents to avoid jeopardizing your loved one’s present or future benefits. With our firm’s guidance, we can help clients be proactive which increases the likelihood of preserving your assets and qualifying for Medicaid benefits. When an individual qualifies, usually his or her income is designated to pay for a portion of the long-term care costs. When anyone who makes the ultimate sacrifice and steps away from their normal life to serve our country, they deserve to be treated well upon return. If disability was a part of their active duty, there may be expensive, ongoing medical treatment and care. Among one of its greatest firm benefits, Fendrick Morgan is staffed with seasoned elder law attorneys, a highly experienced elder care coordinator and an unparalleled support team that is passionate about ensuring our clients are well provided and cared for throughout the estate and life care planning process. Our caring and compassionate team works seamlessly together to understand thoroughly each client’s unique situation in advance of developing a tailored estate and Life Care Plan. At Fendrick Morgan, we want to bring you some peace of mind during those tough times. Even if you live a full and healthy life, it will be more desirable to leave your loved ones with fond memories than the bother of legal processes resulting from the lack of estate planning. Our team helps our clients address often-complex issues associated with aging with dignity and to resolve problems caused by the high-cost of long-term care. Have you considered the effect that the New Jersey estate tax, inheritance tax or federal estate tax may have on your loved ones? Not only do we care deeply about your potential legal issues, but we also give great thought to the medical and financial issues that aging presents. The Fendrick Morgan team works with each client to face the complexities that surround the administration of your loved one’s estate. Fendrick Morgan helps its clients to be proactive which increases the likelihood of preserving your assets and qualifying for Medicaid benefits. Having a disabled child, you recognize the importance of ensuring that he or she receives all of the care and attention that their circumstances may require. If a loved one becomes incapacitated or unable to make decisions for themselves, intervention is required in order to take control of their affairs. As Accredited VA Attorneys, the Fendrick Morgan team will help you and your loved ones obtain the benefits to which you may be entitled. Fendrick Morgan is a Southern New Jersey-based Life Care Planning law firm that focuses exclusively on estate and elder law matters, which includes estate and trust administration, special needs and guardianships, Medicaid planning and the application process, and Veterans’ benefits. Additionally, our highly skilled team handles all aspects of estate planning, estate administration and elder law issues for our longtime clients and often their families. We work carefully with each and every client to customize a plan that works best for them and their loved ones. Every client is unique, and has his or her own specific issues and objectives. At Fendrick Morgan, we pride ourselves on listening to each client and then taking great care to tailor each client’s plan to his or her specific circumstance and needs. The lifeblood of our business is our clients. It is the firm’s absolute pleasure and privilege to provide clients and their loved ones with services, which may be the difference between aging with dignity or dying in despair. We view each client engagement as an opportunity to leverage our highly specialized education and years of experience to assist and support seniors and their families. We take pride to have a team of highly experienced and seasoned lawyers and professionals. You would be challenged to find others who are at the top of their professional game as the Fendrick Morgan team is. We listen to you, first, to understand your unique situation before making any recommendations. Our long-standing multi-disciplined team delivers all services in a caring, efficient, cost-effective manner. The firm services its clients in a friendly, comfortable environment that prioritizes individual integrity and respect for and from each of us. We care deeply about helping you, our valued client, to bring about peace of mind to all parties involved. Our team of legal professionals take pride in providing caring and compassionate legal counsel when dealing with elder law & estate planning matters. Learn more about what each team member has to offer and their experience. We provide further insight in to the laws pertaining to estate planning and elder law. Stay up to date with Fendrick Morgan and follow along. We have provided a sampling of the most frequently asked questions. If you don’t see what you are looking for, please do reach out to us and we’ll be happy to provide clarity on an issue which you are struggling with. Check out our most recent posts that provide additional information on the importance of Life Care Planning, Elder Law and Estate Planning, as well as up-to-date information, news and events from Fendrick Morgan. We provide several different intake forms in which you can download them and fill them our in order to expedite your visit with us at our office. If you have any questions about the forms, feel free to contact us for assistance.